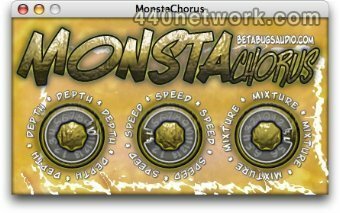 MonstaChorus is a true analog style stereo chorus effect with a simple set of controls and fantastic sound quality. It features the usual depth and speed controls, plus a mixture knob to control the ratio of original to effected signal. 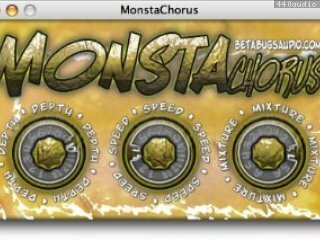 Astute musicians will also notice that 2 of the knobs go to 13, a clear difference of "3" more points of quality compared to other plugins!